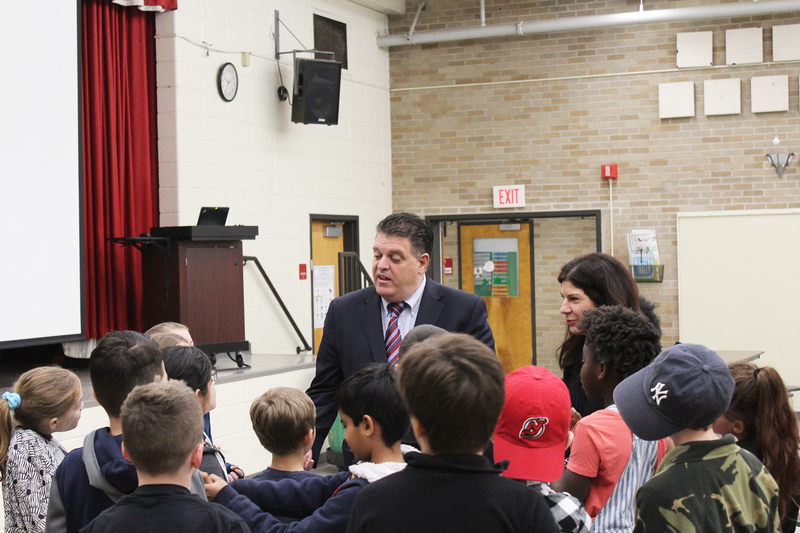 Rep. Rutigliano and the students talked about the duties of a state representative and how a bill becomes a law from concept and idea to final signature by the Governor, and how the General Assembly is a part-time legislature. Many of the students were surprised the Connecticut Legislature was a part-time job. Rep. Rutigliano used the example of how as a part-time legislator, he is also a small business owner in Trumbull and must take time off to go to Hartford for a vote.